What Is Truth? 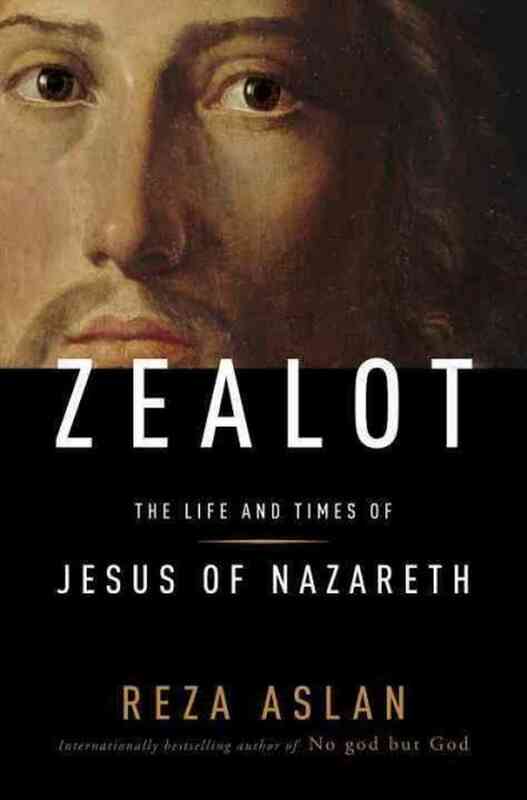 : Jesus the Zealot? Reza Aslan's bold new biography presents us with yet another Jesus-the-failed-messiah theory, another version of the greatest story ever re-told as Jesus the Revolutionary. Aslan is certainly not the first to assert the Revolutionary Jesus. It is as old as Reimarus. But what exactly is Aslan's definition of "revolutionary?" Aslan seems to associate the word "revolutionary" with violence. So if Jesus was a "zealous revolutionary" who "promoted violence" - as Aslan suggests (xxiv) - what are we to do with Jesus' teachings on nonviolence? What happens to Jesus' commands to "love your enemies," "turn the other cheek," "go a second mile," and "do not judge?" According to Aslan, these ideas are just "fantasy" and "fabrication." So sorry, Gandhi. Sorry, MLK. According to Aslan, you got Jesus all wrong. There is, of course, much to be acknowledged in Zealot. Aslan is a fine writer and storyteller and while some may go looking for secret Islamic agendas, or question Aslan's credentials, competence, expertise, or uncanny ability to manipulate the media, these are simply irrelevant distractions from the matter at hand. It is not Aslan's ethnic, racial, religious, or professional affiliations that concern me here; it is his ideas. And there is much to be concerned with. The problems begin with the title. Why does Aslan identify Jesus as a "zealot" who promoted violence in one breath and then pages later concede that he was "nonviolent?" The Zealots were known for revolutionary violence and did not even exist as a movement until decades after Jesus' death. Zealot's epigraph is telling: Aslan cites Matthew 10:34 (the original version is actually Q 12:51): "I have not come to bring peace, but a sword." Aslan - or his publisher - seems to be suggesting that this particular saying is somehow representative of Jesus or this book. The problem is that this saying - in both its originally Q and Matthean contexts - has nothing to do with physical violence but rather reflects a metaphorical use of the word "sword" to signify how loyalty to Jesus divides families, separating - as if with a "sword" - brothers, sisters, mothers, and fathers. Is Aslan not aware of this? Or is he intentionally misleading an unsuspecting public? Either way, it makes him an untrustworthy source. The two main issues that need immediate attention are his portrayal of Judaism and his contradictory representation of Jesus as a "zealous revolutionary." One of the most troubling features in Zealot is how Aslan caricatures the diversity of Jewish thought and practice in the first century - painting "Jews" and "Judaism" with the broad brush of nationalistic "fervor" - as if all Jews were inclined towards violent revolt. Why doesn't he mention Josephus' praise of the Essenes as pacifists - even if only to refute it? What about Josephus' report of Jewish nonviolent resistance to Pilate? There was more than one option in dealing with Rome. The rhetorical flourishes in Aslan's (negative) description of the Temple in Jerusalem are also disconcerting: the "grubby" money changers (4), the "pomp and spectacle," the "stink of carnage," and "insufferable stench of slaughter" (5). It is not at all apparent to me that ancient Jews saw their holy Temple this way. One might grant artistic, creative license to these flourishes if it were not for the historical fact that caricatures of Jews and Judaism are dangerous. Aslan - of all people - should know this because he himself has just been on the receiving end of ethno-religious prejudice as a Muslim. How can you complain about being treated with prejudice as a Muslim writing about Jesus when you stereotype first-century Jews - and Jesus! - as violent zealous nationalists bent on revolt against Rome? What is most disturbing about Aslan's portrait and basic thesis, however, is its utter failure to reckon with Jesus' teachings on nonviolence and the well-documented history and tradition of Christian pacifism from the first through the fourth centuries. For Aslan, “The common depiction of Jesus as an inveterate peacemaker . . . (is) a complete fabrication.” Jesus was “no pacifist . . . Jesus was not a fool . . . He understood . . . God’s sovereignty could not be established except through force” (122). Aslan's Jesus called for "revolution, plain and simple.” The "Kingdom of God" was synonymous with "revolt" (xxix) and couldn't "happen without the annihilation of the present leaders" (119). Jesus' "revolution" would not be "free of violence and bloodshed" (120). According to Aslan, Jesus called for a revolution against Rome and was "no pacifist" because he had a "complex attitude toward violence" even though there is "no evidence that Jesus himself openly advocated violent actions" (120). What? This is not Islamic propaganda. This is just bad history. To add to the confusion, Aslan later concedes that Jesus “was not a member of the Zealot Party," which again begs the question - why name the book Zealot in the first place? Is this disingenuous? 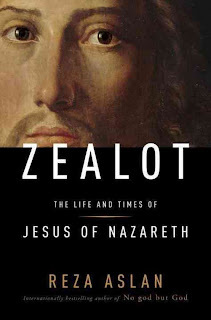 Was Jesus a "Zealot" or not? What does it mean to say that Jesus was a Zealot but not a "violent revolutionary?" Aslan's Jesus is a walking contradiction. It is this fundamental contradiction that ultimately undermines his own thesis. Aslan can't make up his own mind. As a result, he creates a confused and contradictory portrait of a religious figure he clearly has personal issues with. The irony, of course, is that if there is any covert anti-Christian agenda here, it is probably more the result of Aslan's identity as a disillusioned ex-Evangelical Christian than his identity as a Muslim. Aslan's Jesus is most certainly not the Jesus of the Qur'an. The idea that Jesus was a Galilean peasant rebel who failed "to establish God's reign on earth" by failing to overthrow Roman rule may appeal to those who want to deconstruct the "Christ of faith," but it only works by ignoring counter-evidence and cherry-picking the slim scraps of data that could conceivably support such a claim. It is historically and ethically irresponsible to portray Jesus as a militant nationalist or "Zealot" who "promoted violence" because it is simply not true. Public intellectuals have a responsibility to the public. Aslan is a public intellectual who has rather casually dismissed the social, political, and theological implications of the nonviolent Jesus traditions and painted a historically unsound caricature of Jesus and first-century Judaism. Many Christians will reject Zealot without even reading it because it is the work of a Muslim; that is unfortunate. What is even more unfortunate, though, is that this sensationalistic trade book will mislead large segments of the population into ignoring the very traditions that have always been and may yet be our best hope for bringing peace to the western world.